I don’t often give unsolicited plugs for FOAMed resources but felt I needed to share my delight at having recently discovered the IMReasoning podcast. It is the creation of two internal medicine physicians, Dr. Art Nahill and Dr. Nic Szecket, working in Auckland and is described as “Conversations to inspire critical thinking in clinical medicine and education”. I have binge listened my way through most of the episodes and thoroughly enjoyed them all. They have found the sweet spot – demonstrating a near perfect balance between the informative and authoritative, and the entertaining and self-deprecating. While relevant and helpful to us all, I think it is particularly of value to those intending to sit the FRACGP Key Feature Problems (KFP) exam for the first time, and for those who plan to re-sit. It is also a “must” for supervisors and medical educators trying to develop clinical reasoning skills in their learners. The KFP exam is designed specifically to test clinical reasoning. It tends to have high failure rates and many candidates find it the hardest of the three Fellowship exams to get through. As an RACGP State Censor, one of my jobs is to give feedback to failed candidates. While exam technique and knowledge gaps are undoubtedly factors for many, time and time again I see doctors with good clinical knowledge but poor clinical reasoning (memorisers, not thinkers). They tend to find it difficult to assess patients in the context of the scenario given and to identify the key features/critical steps. I think this podcast might help people better understand what the KFP is about. From here on in I intend to recommend the IMReasoning podcast as a KFP study plan essential. You can find it at http://imreasoning.com/ and it is also available to download via iTunes. I recommend starting from the beginning as the episodes build on each other. In Episode 31: Stump the Chumps International with Genevieve Yates, I present a case for Art and Nic, attempting to “Stump the Chumps” with a very GP-type case. I chose the case because it illustrates some of the clinical reasoning and management challenges when assessing and managing some of the more complex primary care patients. (Spoiler alert – there isn’t a glorious diagnostic prize revealed or a great “ah ha” moment”). The below is a copy of an open letter sent to all 2016.2 OSCE candidates today. It was written by the RACGP National Assessment Advisor, Dr Guan Yeo. I’m posting it here as it is one of the best OCSE tip summaries I’ve seen, containing many a gem, and will hopefully be helpful to future OSCE candidates also, when they start to prepare for this last FRACGP exam hurdle. You can find other OSCE related posts here, here and here. My YouTube channel http://www.youtube.com/user/DrGenevieveYates has links to various physical examination clips and other videos which might also help in OSCE preparation. How are you progressing in your preparation for the Objective Structured Clinical Exam (OSCE)? By now I expect you have your regular small-group timed roleplay sessions up and running. Improving your performance in the rating areas that apply across multiple OSCE stations is a good way to maximise your chances of success. Communication and rapport Patient centred? Empathic? Patient expectations? Simple language explanations? History General and focussed questions? Orderly? Demonstrates safe diagnostic strategy? (Murtagh)? Physical exam Hand hygiene? Explains and is considerate of patient comfort? Orderly? Gives positive findings and significant negatives? Investigations Prioritised? Staged – initial and later Investigations? Differentiates between your differential diagnoses? Management Prioritised? Considered patient supports? What does the patient think/understand? What are the obstacles (eg. to behaviour change)? Safety-netting? It is time to critically review your clinical experience and familiarity with conditions represented in the ICPC2 groupings, e.g. women’s health, mental health, musculoskeletal, ENT, etc. Study up now on the common presentations in your areas of weaknesses: How do they present? What history or examination do you target? How do you prioritise investigation? How do you manage – short term and longer term, explanations, drugs and non-drugs, again prioritisation. Finally, hopefully you have already booked in for a trial exam. This is often useful to ‘polish-up’ your preparation. In the three minute reading time, do read the instructions line by line. Some nervous candidates miss entire lines as they read. It can be helpful to put your finger against each line as you read – it is simple, may sound silly, but it works. You don’t have to memorise – there is the same set of instructions on the desk inside the station. When in the station, if you are nervous, it is easy to miss visual cues. So if eye contact is not your strong point, train yourself to look regularly at the ‘patient’. Use the time at rest stations wisely. Besides toilet breaks and drinks of water, regroup your thoughts, use short meditative exercises/mindfulness, focus, and regain your composure in readiness for the next station. Avoid dwelling on previous cases as that won’t improve your scores, but rather prepare yourself mentally for the remaining stations. I hope that you have found this information useful and I wish you well in the OSCE. These are not uncommon questions. For many, the life cycle of an OSCE case seems to be a mysterious process, shrouded in secrecy. It starts with a twinkle in an OSCE case writer’s eye, often during a patient consultation. “This could be a good OSCE case,” the case writer muses, and from there, a case is conceived. It’s a long and complicated gestation, however, with no guaranteed delivery at the end. OSCE case writers are neither a special breed nor an elitist group. They are a diverse mix of practising College Fellows from around the country, who are all experienced RACGP OSCE examiners specially trained in how to write OSCE cases, RACGP style. Cases are based on real patients seen in the case writer’s own practice. They are not derived from the rare and obscure conditions we all find so interesting, but from common and/or important presentations that competent Australian GPs are expected to be able to manage. Taking care to de-identify the patient and to ensure that the issues involved are widely applicable to Australian GPs, the case writer creates a first draft using a standard RACGP case writing template. With support and feedback from OSCE case reviewers, this initial draft may require considerable to-ing and fro-ing. Once the first draft is complete, it gets formally reviewed by an OCSE medical educator (ME) and then road tested. Yep, road tested. Tried out by volunteer GPs who have not previously seen the case to see how it performs – which is not as much fun as taking a new car for a spin, in my opinion. Essentially, these are people willing to do OSCE cases under exam-like conditions. Some may call them dedicated, others may say masochistic, but everyone agrees that they are fulfilling an important role and helping make the OSCE better. After the road test, the case goes through another round of review before moving to Standardisation. This is when a group of experienced OSCE examiners put its eyes on the case and marking scheme, suggests modifications if necessary, and decides on which aspects of the case (“Key Features”) are the most important. These Key Features are then bolded to assist the OSCE examiners marking the case. After all that, the case goes into the OSCE pool, vying for selection. Unlike selection for the Australian Olympic Swimming Team which is, I’m guessing, based largely on swimming very fast in the right races, the selection of cases for the OSCE team is nuanced and complicated. It is governed by the Exam Blueprint which takes into consideration many factors such as the General Practice curriculum, the frequency a condition is seen in general practice, and the importance of being able to diagnose and manage said condition. This is why emergency presentations such as myocardial infarction occur more frequently in FRACGP exams than they are seen in a typical general practice. They are uncommon, but you really need to get the diagnosis and management right when you see them. The “team” of cases chosen for a particular exam needs to be balanced, so that a sufficiently broad spectrum of knowledge and skills is assessed. 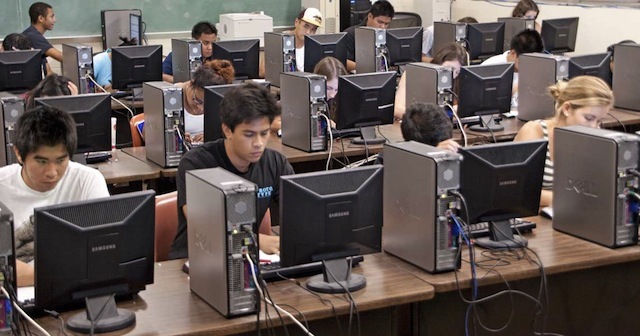 It may seem from the outside looking in that in some exams there are very similar cases, but even when the condition is the same, the different cases test different aspects, that is, the assessment tasks are different. An OSCE case cannot rest on its laurels after selection for a particular exam. There is more scrutiny to come: firstly by an OSCE ME (a “fresh eyes” review) followed by the Assessment Panel Chairs (APCs), then the Quality Assurance (QA) examiners and finally the assigned examiners. You would think by this stage there would be nothing left to review, but regardless of how many times a case is reviewed there can still be little typos or omissions which have slipped through the net. Cases requiring last minute adjustments get “green sheets”, on which the changes are outlined for the case’s examiners. Better to be green sheeted then yellow carded, but still, something to be avoided if possible, and with increased pre-exam reviews green sheet changes are getting fewer in number. Finally the big day arrives and the OSCE case is role played in upwards of 45 rotations in approximately 15 exam centres around the country. But it is still not over for an OSCE case. Post exam, the examiners and QA examiners provide feedback on the case, and the statisticians work their numerical magic to see how it stacked up. If the case fell outside certain statistical parameters (e.g. discrimination index), it goes through a further review process. After all that, we thank the case for its service by sticking it into quarantine for several exam cycles. After being brought out of exile, it is updated, reviewed and road tested again before it is considered for use in another OSCE. OSCE cases, like doctors, diet fads and mobile phones, don’t last forever. At some point, each case will need to come to terms with being pulled out of the pool. After a bit of rehabilitation, the lucky ones will have a working retirement by being used for examiner training, mock OSCES and the like. Others disappear, remaining only in the memory of those who tackled them on a long ago OSCE game day…. Such is the life journey of an OSCE case. Is your registrar a little lost on where to start in studying for their RACGP exam? What is your knowledge of the RACGP exams? Did you sit them a long time ago? Or have you simply blocked them out of your memory! The idea of this article is to assist supervisors in understanding the RACGP exams, provide advice on ways to assist your registrar in preparing for their exams, and highlight materials which can be used in exam specific teaching sessions. A large amount of this information is available on the RACGP website; however this article is designed to give you a more rapid overview as we are all time poor and sometimes just need the key features! What is involved in the RACGP exam? Guest writer: Dr Leela is a GP registrar completing her training in Hervey Bay and will soon be returning to Brisbane with her wonderful family. 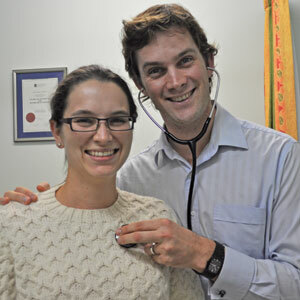 She recently successfully completed her FRACGP exams. How long to study for?